Nationalization of 449 private schools was the most burning topic of past few days. It made the headlines across all the newspapers. Now the point is that why Government is doing so? Is it really to facilitate parents who are facing the burden of heavy fees by the private schools or the Govt. is again assimilating all the powers under one authority. Some people are of the view that it is an unplanned and immature scheme which is announced suddenly. But the facts are opposed to this view. What the facts state is that parents consistently complained about the heavy fees imposed by the private schools. The protests and court cases by the suffered parents are on the record. The schools claim that they have to escalate the fees in order to pay the salaries of the teachers which are increased as a result of 6th pay commission which came in force in 2008. Stated facts are contrary to this. The Govt. side, a serious repugnance on the part of the Govt. is that why didn’t they took action before this time? Why they waited for so long to take the decision of nationalization? 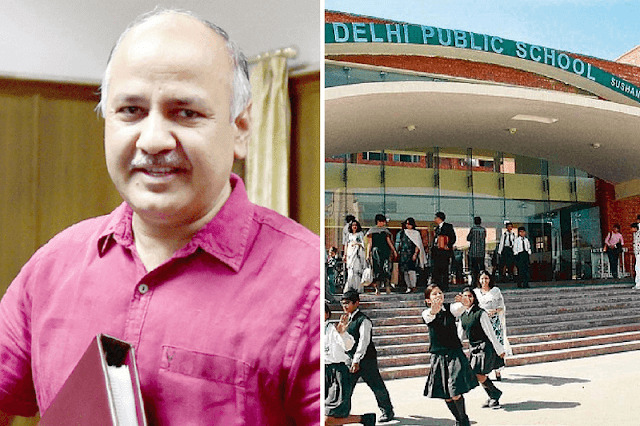 Well, it is important to mention here that the accounts of the private schools have been explored in 2011 by Justice Anil Dev Singh Committee which indicated the unlawful increase in fees. The reason stated in a report was the involvement of political parties, powerful owners and the extorted wealth owned by the owners of private schools. It was also mentioned in the report that some private schools also have gained land by the govt. by fraudulent means. These findings were the result of 3 years exploration of accounts. But all this was entirely ignored. Now in 2016-2017, it is made compulsory for all private schools to ask for permission from DSEAR in order to increase the fee. The reason of delayed action is the collaboration among the school authorities and the Govt. officials. However, now certain schools are ordered to refund the fees to the parents, about 500 schools. Only 100 schools followed the order while rest of them refused. There are only two ways to follow in front of DSEAR. First, is to shut the schools down but this will result in a huge loss to the student community. Second, is to nationalize the schools. The above-stated facts ask for a quick solution to relief the parents’ community who is burdened with the excessive fees at frequent intervals. Moreover, it is of extreme importance to cut down the relation between school owners and the leaders possessing the political power to protect the education, students, educational system and the whole society. As if the education providing institutes are profit-oriented then they could only produce greedy jacks not the people with sensitive heart and sensible mind that could work for the betterment of society.